Neymar hasn't played since January. 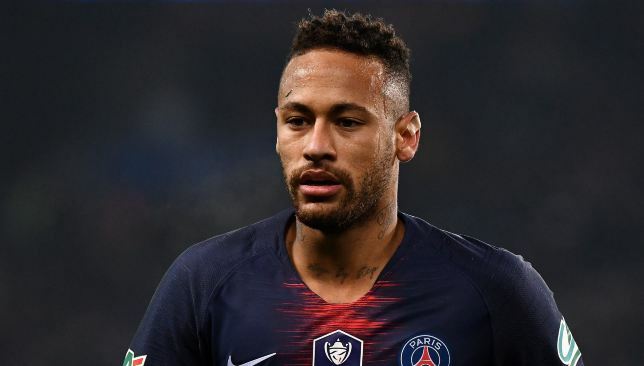 Neymar is hoping to make a return in time for Paris Saint-Germain‘s Coupe de France clash with Rennes later this month. The PSG superstar suffered a broken foot in January and has not played since, missing the Parisians’ shock elimination from the Champions League following their round-of-16 loss to Manchester United in March, having missed the second leg of PSG’s defeat to Real Madrid at the same stage of the competition last season because of a similar injury. His absence has not hindered his club’s march to another league title, with PSG poised to wrap up a sixth Ligue 1 triumph in seven seasons, and second straight during Neymar’s tenure at the club. And while winning the Champions League remains the ultimate goal for the French club, and a personal mission for Neymar as he looks to add to the winners’ medal he won in 2015 with Barcelona, helping his side win as many trophies as possible remains the Brazilian’s biggest motivation at the club, according to his father. “He is very happy today to know that he is very close to finding [to the field],” Neymar Sr. told RMC Sport. “That’s where he feels most happy, and when he’s on the field his mood is very positive. UEFA have charged Neymar for his angry social media comments about the penalty awarded to Manchester United during their Champions League victory over Paris Saint-Germain on March 6. UEFA confirmed in a statement on Friday afternoon that Neymar had been charged under Article 15 (1) (d) of the disciplinary regulations with “insulting / molesting acts against match official (statements made by the player following the above-mentioned match)”. The date for the case to be dealt with has yet to be confirmed. Neymar took to Instagram to rage about the penalty that sent Manchester United through to the Champions League quarter-finals at Paris Saint-Germain’s expense. Marcus Rashford’s spot-kick, in the fourth minute of second-half stoppage time, secured an impressive 3-1 away victory for United that meant they progressed on away goals. The penalty was awarded by the Video Assistant Referee when Diogo Dalot’s shot struck Presnel Kimpembe on the arm, but Neymar was adamant the visitors’ winning goal at Parc des Princes should not have stood. “This is a disgrace, they put four people that know nothing about football in charge of looking at the replay for VAR. Romelu Lukaku had earlier scored twice for United in the first half, either side of Juan Bernat’s goal for PSG.